Primavera is now approved by the National Collegiate Athletic Association (NCAA) for numerous math, science, English, social studies and foreign language courses retroactively to 2014-2015 school year. What does NCAA approval mean for you as a current or prospective Primavera student? Read below; we’ve got it broken down for you! What Does it Mean to be NCAA Approved? Students who complete NCAA approved courses have the opportunity to establish their NCAA eligibility to play college sports. This means that any student who has completed approved Primavera courses dating back to the beginning of the 2014-2015 school year has the chance to participate in and obtain scholarships for college athletics. Why Did Primavera Lose NCAA Approval in 2014? In 2014, all online high schools across the country lost NCAA approval because the association deemed they did not provide adequate instructor-student interaction. Since then, Primavera has worked hard to prove that we are not like other online schools; in fact, our students often report that they communicate with their instructors here at Primavera more than they ever did in their traditional schools! In August 0f 2016, the NCAA recognize Primavera’s personalized attention, and reinstated our NCAA approval. Who Does NCAA Approval Benefit? Primavera regaining its NCAA approval benefits all our student athletes! Now you have the opportunity to to establish eligibility to earn an athletic scholarship and compete in a sport you love at the college level. 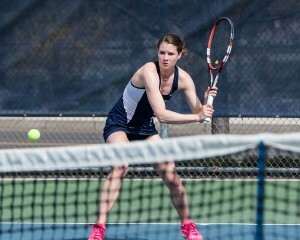 This was the case for Primavera graduate Meghan Lyall who earned a Division I full ride athletic scholarship to play tennis at Utah State University. Check out her story below. Meghan is a 20-year-old entering her junior year at Utah State. She was captain of the Aggie women’s tennis team last year, and serves on the Student Athletic Advisory Committee (SAAC). Back in 2014, Meghan faced losing her eligibility to play college tennis due to the NCAA withdrawing its approval of online high school coursework. “In October of my senior year, I was told that Primavera coursework was no longer approved by the NCAA. This created a great deal of anxiety about whether my previous coursework would be approved and how I would finish out my high school career and still graduate from Primavera,” said Meghan. From there, Meghan worked closely with her counselor, Elaine Taylor, to record all communication between Meghan and her instructors so that she could maintain her NCAA eligibility. With all the traveling and constant practicing required, Meghan needed to have a flexible schedule that only Primavera could provide. Despite her traveling, Meghan worked hard on her schooling and earned a 4.0 GPA while at Primavera, thanks to the help from her teachers. 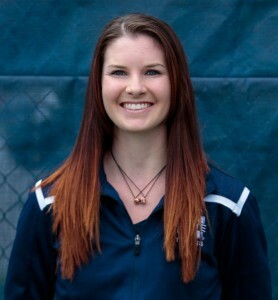 We are proud to say Meghan has maintained her high academic status in Utah State University with a current 3.9 GPA. Her advice to other athletic students: Don’t forget school comes first. “One thing many athletes forget when they are trying to compete at the collegiate level is that school really does come first. Doing well in school is what will open more doors to you in life, and the athletics is what will create a great network of people who can be your support system through college and even after,” said Meghan. For any questions about NCAA approval, give your guidance counselor a call or visit the Primavera NCAA webpage. If you’re considering switching to Primavera, give our enrollment advisors a call at 480.405.2703. Do you have words of encouragement you’d like to pass on to Meghan? Share in the comments below!